A speedy update this week. 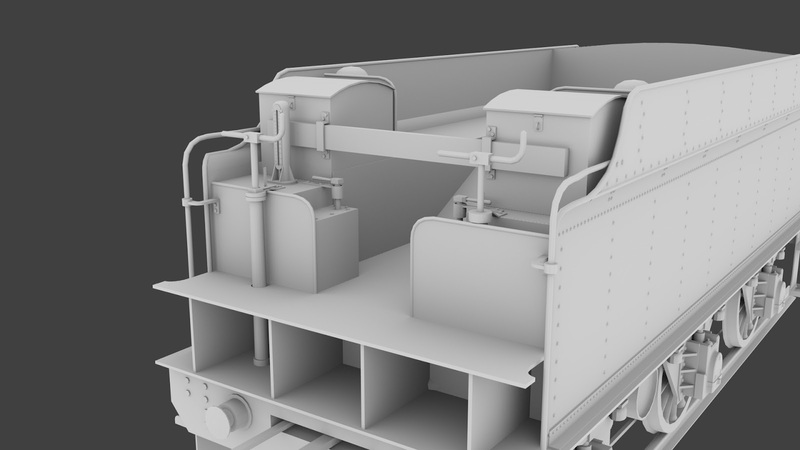 To take a break from modelling I'm busy making up the nameplates (for 75 locos!) and I don't want to lose momentum as it's a very repetitive and tedious task! 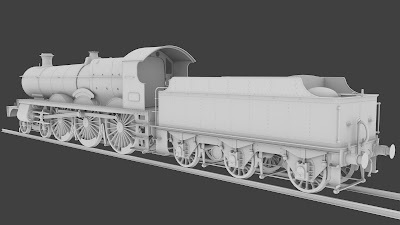 The Saint's 3500 gallon tender is complete and will be provided in riveted and smooth versions with plenty of GWR logo choices and the usual BR ones. 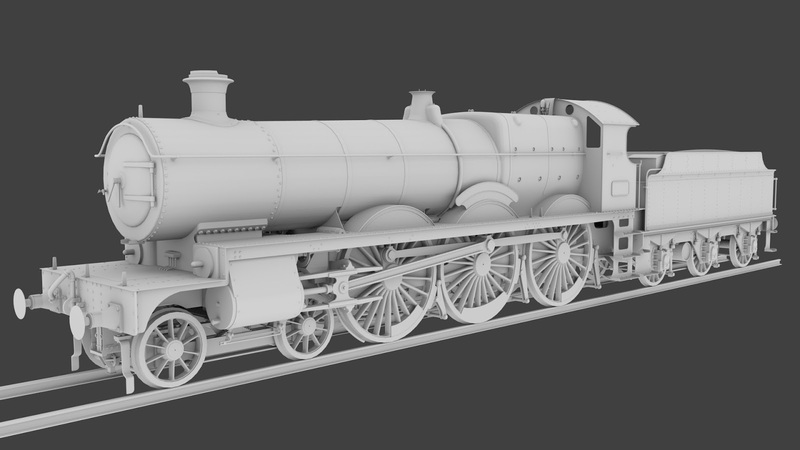 And here it is with the loco model. Looking rather smart isn't she! Actually they were all gone by the end of 1953, so you are correct that none of them would have run in service with the "ferret and dart board", but it's about 30 minutes extra work to include the post '56 logo as well and it means the tender can be used with other locos if people choose. Looking good. So nice to include the ferret board, who knows maybe some day 2999 will run with it. I hope the tender has a working scoop. Of course! We actually developed the water scoop script for DTG on the Riviera 50's route. Looking very nice so far. Great work so far guys! Will 2999 be included with this pack? Stunning! By the way, Has your team considered doing more co-operation with Steam Sounds Supreme? 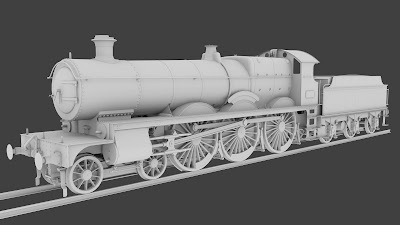 The combination of their recordings and your excellent simulation scripting (Such as the 14xx using their sound pack) easily creates, in my opinion, the best steamers in TS. We have. In fact we already do: the Small Prairies and the upcoming S160 already include sounds created by SSS.